The Regulation Puzzle: Where do banks and new challengers currently stand? This year we've seen many changes with regards to financial regulations and all types of organisations in the industry have had to adapt and keep themselves updated lest they risk falling into a regulation trap. -Grandfather versus Son - Can the Grandfather banks (traditional, older institutions) move as quickly as the Challenger banks? Are the rules different or just the attitudes influencing the approach? Is the regulator relationship different? -Does the time taken to analyse the rules vary? Why? How do smaller institutions get the advice and consultation from experts whether they be Legal or Tax? -Manual vs automation - linked to the first point..... does the infrastructure allow swift innovation? Whether purchased innovation or internally developed? -How does the customer approach vary? how are customers impacted or communicated with? -How can tools developed by software companies/Fintech innovators help? How does the way these companies change between traditional and challengers? 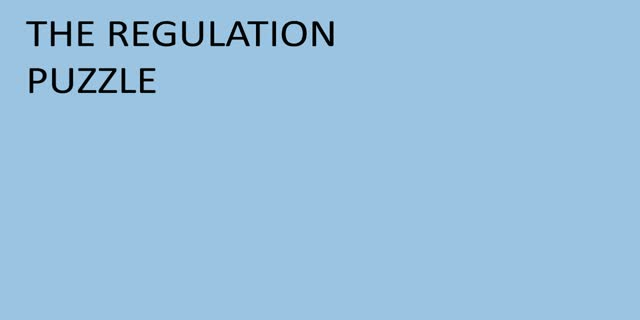 Title: The Regulation Puzzle: Where do banks and new challengers currently stand?